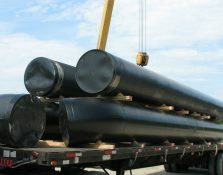 Coal Tar Epoxy is a heavy duty, high build protective coating that has high strength, is resistant to most corrosive reagents, and is excellent at sealing out moisture. It is widely used in industrial and marine environments. It is primarily applied to steel to protect it from corrosion and rust. 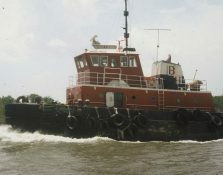 It is often seen on steel boat hulls, underground water and petroleum tanks and pipelines, offshore oil rigs, and dam gates. 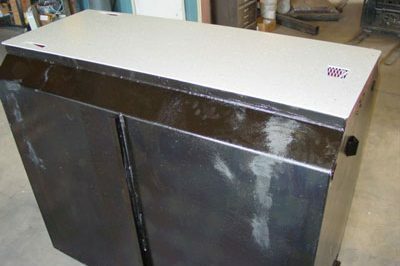 Our Coal Tar Epoxy below ground storm shelter is made of 10 gauge sheet metal. All welds are leak-tested to ensure they will not allow ground water to seep into the shelter. After the shelter is fabricated, we apply a thick coating of Coal Tar Epoxy to the outside of the shelter. The Coal Tar Epoxy bonds to the steel and serves to protect the outside of the steel shelter from corrosion and rust. The interior of the shelter is painted with red oxide primer paint to protect the steel on the inside from corrosion and rust. 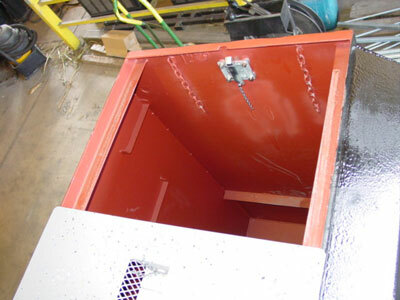 All of our in ground FlatSafe Tornado shelters come with our patented single piece lid system. The lid is ¼” thick steel plate with added structural tubing to provide extra strength. 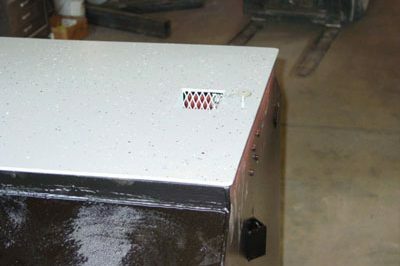 The single-piece lid is larger than the frame of the saferoom opening and sits above the frame, not down inside the frame. Our lid system is MUCH stronger than the typical 2-piece lid system offered by everyone else and provides more than adequate ventilation to the occupants. Please note that while Coal Tar Epoxy works very well, it does have a limited lifespan. Over time, the elements in the ground can cause the coating to begin to break down. If and when that occurs, the steel would no longer be protected from corrosion and rust by the epoxy. The industry standard on coal tar epoxy, set by the epoxy manufacturer, is a life expectancy of 5-10 years. 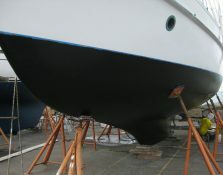 The epoxy manufacturer suggests reapplying the coating ever so often to continue the protection of the steel. 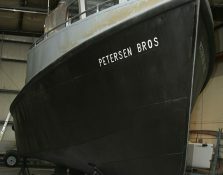 For example, boats with steel hulls are pulled out of the water at least every 5-10 years and the epoxy coating is reapplied in order to continue protecting the steel hull from rusting and leaking. The installation of a FlatSafe Tornado shelter is very permanent. The application of the epoxy to the steel is a one time, pre-installation occurrence. Please consider that FlatSafe offers three (2) different upgrades to this model that each come with a 50 year rust and corrosion warranty. Our Shelters Will Never Float – Guaranteed. 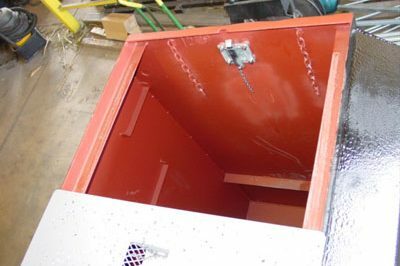 FlatSafe Tornado Shelters are back-filled 100% with ready-mix concrete (NOT dirt) to counteract buoyancy and flotation. FlatSafe Tornado Shelters will never float…Guaranteed!